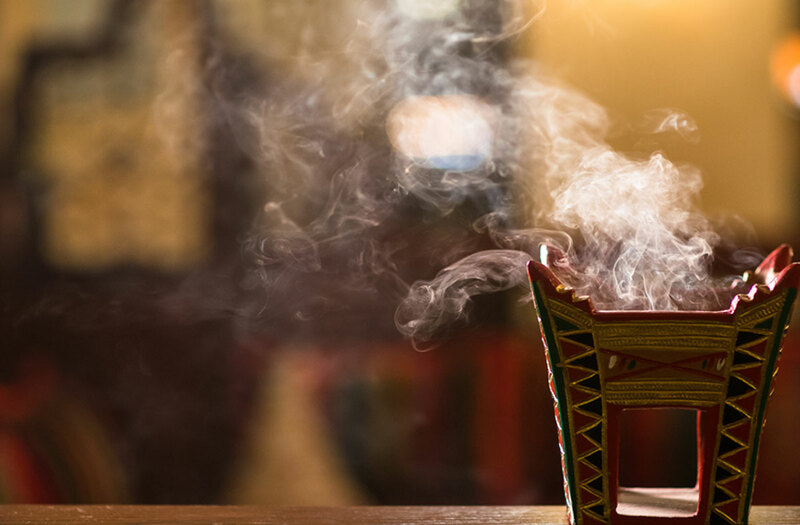 Here at our humble home, we invite you to join us for a traditional Omani meal in a cultural ambience infused with the fabled scent of the nation’s ‘Al Luban’ (Frankincense) a source of hospitality, spirituality and pride of our rich heritage. Taste the exotic spices and delightful ingredients. 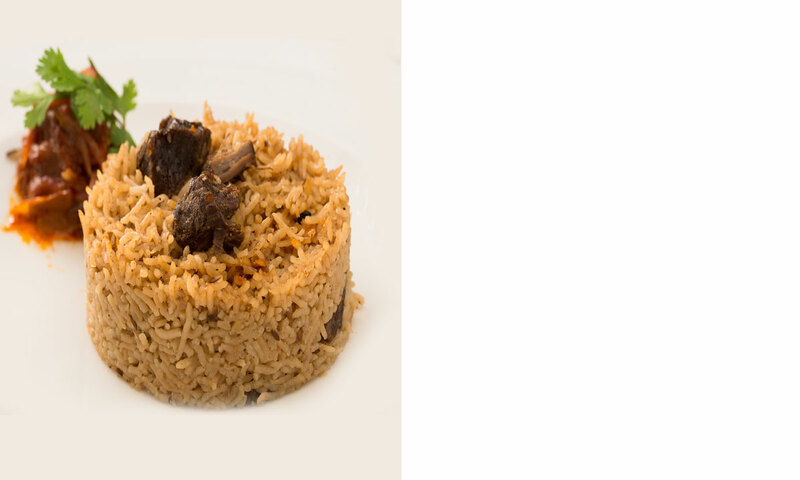 The Omani food combines flavors picked from the path taken by Omani travellers during their long years of trading. It stretched from East Africa to India, bringing home the best available spices combined to make a delectable unique meal which pleasantly showcases the national history. من هنا، من بيتنا المتواضع، يشرفنا دعوتكم للانضمام إلينا والاستمتاع بإحدى أطيب الوجبات العُمانية التقليدية وسط أجواء تراثية تفوح منها عبق شجرة “ اللبان” الزكية والتي تمثل مصدر الضيافة وحالة روحانية صافية وفخر تراثنا العربي الثري. استمتع بمذاق البهارات الاستثنائية والمكونات الشهية يتميز المطبخ العُماني بالجمع بين مجموعة مُختارة من نكهات مناطق وطأتها أقدام الرحالة العُمانيين أثناء رحلاتهم التجارية التي استمرت لأعوام طويلة. مناطق تمتد من شرق أفريقيا حتى الهند تم اختيار أفضل أنواع البهارات المتوفرة فيها وإدخالها إلى عُمان واستخدامها في تحضير مجموعة فريدة من أطيب الأطباق التي تستعرض التاريخ القومي المتميز. Engineer turned Chef Malik Al Jahdhami, Head Chef of Al Siraj Hospitality Management Services, who is all set to operate a fine dining Omani restaurant in the vibrant Muttrah region, believes all men are born equal but only the awesome ones become chefs. It is all about passion for cooking, says Malik Al Jahdhami. His passion was triggered in his early teens. Nevertheless, it was engineering he chose immediately after schooling. He joined the Sohar University and took up Mechanical Engineering. But I didn't see myself as an Engineer, he recalls. And as fate would have it, he pressed the brakes on a promising engineering career only two years after beginning the course. He went to Pune in India and he has completed his Hotel Management Course. Upon completion of his training and courses, he joined Grand Hyatt, Muscat as Demi Chef de partie and worked there for two years before moving to Oman Air catering as Chef de partie. Malik Al Jahdhami interprets that the Bait Al Luban’s cuisine is in a Oman’s traditional and refined way, intricately prepared cuisine, designed to capture a delicious and exciting range of flavours. Private dining at Bait Al Luban is an exquisite experience for any occasion. We offer breathtaking views of the Muscat corniche. Our goal is to assure that events at Bait Al Luban surpass all expectations. The onsite personal events coordinator and highly skilled service team are dedicated to creating an unforgettable dining experience for private events. We can contact you by filling out the form below. We came to Bait Al Luban after reading reviews on Trip advisor. The food ad atmosphere was lovely and the staff were impeccable. We enjoyed it so much we came back the following day for dessert. they were so lovely they even gave me a complementary dessert. excellent restaurant with traditional Omani food.